She'll be rocking some serious sparkle with the SKECHER Street Sidestreet - Night Life shoe. 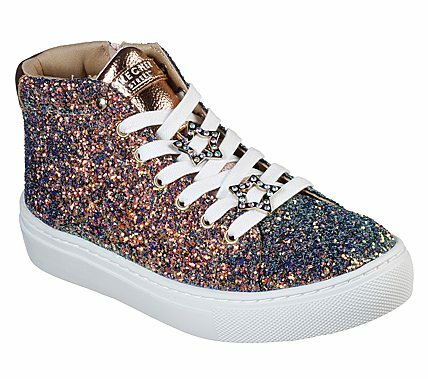 Textured rock glitter finish synthetic upper in a lace up classic sporty high top sneaker with synthetic overlays. Air Cooled Memory Foam insole.